Find three folks on Twitter, and Daily 140 emails you once-a-day with all the new people they’ve followed and tweets they’ve favorited. Find anyone’s Top 10 tweets, ordered by engagement. A nearly all-in-one platform for all things Twitter. The free plan comes with analytics, best time to tweet, follow/unfollow tools, and community segmentation. This browser plugin reveals vast insights into any Twitter user you choose. Discover statistics, popular hashtags, most shared links, connected profiles, and much more. A dashboard of analytics for whichever Twitter user you choose (even yours). Analyzes profiles, tweets, engagement, and more. Track your influencer score (on a scale of 1-100) and use the Klout dashboard to create and schedule new tweets. Sync your Twitter to SumAll, and start seeing daily or weekly emails on how your followers are growing, your mentions, and your engagement. Receive a sorted list of your best followers, most influential followers, and most engaged followers. Useful to track the important people to engage with on Twitter. Plug in your Twitter account to see a snapshot of who you follow, which demographics you fit, who’s in your close network, and more. Type in a user or hashtag and see a detailed map or visualization about the community around the user or the people using the hashtag. Head to analytics.twitter.com for a detailed overview of all your activity in the past 28 days, including your top tweets, top mentions, and top followers. Search Twitter keywords, locations, usernames, interests, or followers, then use your new-found knowledge to analyze your fellow tweeps or find new ones to follow. See a visual breakdown of all sorts of Twitter stats: Followers analyzed by activity and popularity, competitors shown side-by-side with your account, etc. Cover live news, sports, and events through Twitter, via hashtags, and collaborate with your team on the coverage. Completed “Beats” come with an embed code. Log in to follow a specific hashtag, hang out in a room that collects the hashtagged tweets for you, and reply as you like (with the hashtag added automatically to your tweet). Register a hashtag for your chat and collect/view the tweets from one location. Nurph channels let you plan and organize your chat, complete with follow-up stats and replays. Submit your hashtag. Enter your chat room. Have fun! As described by Twitter’s Joanna Geary, “find out what’s trending among the people the people you follow follow.” Make sense? Translation: Content discovery from friends and friend of friends. Type in a keyword to see which voices get the most shares on Twitter. Find influencers, sniff out headline ideas, and learn what works on Twitter and who’s working it. Search by keyword or by location to find photos shared on Twitter. An algorithmic display of the top articles and links that your Twitter followees have shared. Pair with News.me: a daily email newsletter of what your friends share on Twitter. An easy way to stay on top of the best links in your timeline. 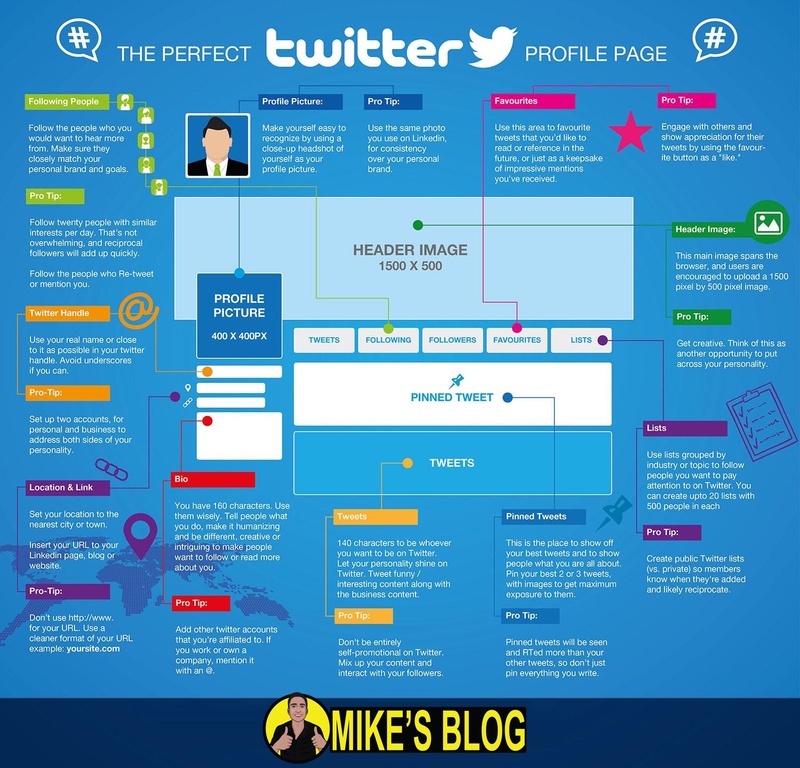 Twurly analyzes the popularity and page authority of the links so you only see the best. Curious which of your followers are into football? Use Filta to search the bios of all your followers for any keyword you want. A visual look at the leading stories and hashtags on Twitter. Available on the web and as an iOS app. Prune your list of those you follow by seeing who follows you back, who’s recently unfollowed you, and who’s inactive, plus build a whitelist of accounts you’d always like to follow no matter what. Segment your followers according to a number of factors: last tweet, follower count, location, language and whether or not they follow you back. Cleanup inactive follows, flush those who don’t follow back, and reciprocate someone else’s follow—all done in bulk and with a few clicks of a checkbox. Get a complete breakdown of those you follow, and unfollow with ease. Does A follow B? Does Bill Gates follow Skrillex? Does Guy Kawasaki follow Jay Baer? See all the information on all your followers – top tweets, influence, and more. Receive an email every time someone unfollows you. Swipe left to unfollow, swipe right to keep following. Simple tools to grow your followers. Copy the follow list of another user, find users to follow based on keyword or device. • FollowFly: What else are Twitter users sharing? Search Twitter users, find their best content on Twitter and beyond – Facebook, Instagram, YouTube, SoundCloud, and Reddit AMAs are currently supported. Plug in a hashtag and see feedback on the tag’s reach and popularity as well as suggestions for some alternatives to try. Complete with pretty colors to see at-a-glance which hashtags are best. Enter a hashtag to discover related tags, recent conversations, usage patterns, and influencers. Enter in a hashtag and Tagboard will pull all the most recent and relevant content into a highly useful board of tweets and visuals. A tool we build here at Buffer, Pablo lets you quickly share a quote or build an image with beautiful backgrounds from UnSplash and the best, catchiest fonts. Customize with your logo, too. Give Twitshot a URL, and it will pull in all the images associated with that page, giving you an easy option to see what to share. Highlight text from whatever page you’re on and click the Share As Image bookmarklet to toss that text directly into an eye-catching image. Finch turns Twitter into streams of endless photos of anything. Get an email whenever someone shares from your website—even if they don’t mention your username or if they use a link shortener. Warble also does full keyword, mention, and hashtag tracking. Ask Keyhole to notify you whenever a particular keyword, hashtag, or URL is mentioned. Helpful to track mentions of your own name or your company’s blog or campaign. Track and follow keywords as they’re tweeted in real-time and at real places. Zoom in to a geotargeted area for super fine results. Track keywords on Twitter and receive an email notification every time they’re mentioned. Great for keeping an eye on company names, new products, and branded hashtags. A listening tool for keeping up with all your mentions on Twitter. Tracks, analyzes, and displays any number of keywords via the Mention dashboard or via email digests. Get a visualization map of you and all the people you mention (and they people they mention). Search and track any keyword, username, or hashtag. See a results page full of relevant tweets, user accounts, and influencers. Simple social media management. Fill a queue of tweets, analyze their performance, and find new, hand-picked stories to share. We also take a lot of inspiration from the great work of Hootsuite and Sprout Social, which offer an amazing list of management tools. Send a direct message to the Tweet4me account, use shorthand and prefixes to denote when to share, and let Tweet4me schedule and send the tweet for you. Every analysis imaginable for your Twitter feed, your profile, your followers, and your competitors. Tweriod analyzes the tweets you send and your followers’s tweets to find the optimal time for engagement. See trending terms from the last—you guessed it—24 hours, broken out hour-by-hour and country-by-country. Enlightening for social media campaigns and geographic/timing research. A zoomable map that shows popular hashtags and terms from anywhere in the world with easy-click buttons to hone in on My City, My Region, and more. • iTrended: Did it trend? Search the past 15 days to find whether certain keywords trended or not. Via the app or the web, stay on top of your Twitter stream with Tweetdeck’s organization and tracking tools. Split your stream into segmented columns to stay engaged with what’s important. A native Twitter client for Mac OS X. Dashboard views of incoming tweets, lists, and searches, split across multiple tabs. Comes highly recommended from Kottke.org. Pick the friends you want to hear from. Never miss their tweets. View all their activity via an inbox-style layout with nested updates. Powerful Twitter client for iPhone, iPad, and Apple Watch, with cool features like color-coded timelines and muffled keywords or hashtags. • Twitter Dashboard: Connecting businesses with their fans, customers, and community. Twitter’s own client for businesses to manage their accounts, schedule tweets, view analytics and much more. Type in a URL. See the share numbers. Simple. For those who omit the “date joined” on their profile, there’s still a way to discover it. See how long your new favorite follow has been tweeting or when a new profile officially landed. Rather self-descriptive, this tool updates you when someone changes their Twitter bio. Useful if you’d like to track job moves and major news or even to learn from how people craft unique Twitter bios. Connect multiple apps in unique ways to your Twitter account. For example, post your Instagram pictures as native Twitter photos. Real-time reports on your response time, response rate, and performance based on industry benchmarks. Also, really pretty to look at. Install the bookmarklet, and you can reveal any tweetable sentences (140 characters or fewer) from any article. Let your teammates and coworkers share to the same account automatically with zero password-sharing. GroupTweet can even append usernames on to the end of individual tweets. Grab any number of tweets and media elements, and place them all into a Storify collection that you can embed and share anywhere. Discover the most-used words of any user you choose (even you). Type in a keyword and hear an audio track based on the sentiment of the tweets with that keyword. Start a new campaign on Thunderclap, and if you get enough supporters to signup, Thunderclap will send your message out automatically through all your supporters’s Twitter accounts. Live stream video of whatever you’re up to. Preselect tweets to be favorites or RT’ed based on rules you create. Add a highlighted snippet of easily-tweetable text to your website or blog post. Tons of options to make what looks like fancy fonts and styles in your tweet text (it’s really just unicode characters). Looks great on Macs, and perhaps not so much on Windows PCs. Available as Chrome extension, iOS app, and bookmarklet. Enter a keyword to see which person was the first to tweet it. Write more than 140 characters, and Little Pork Chop chops your text into Twitter-sized snippets, posting them all one after the other. Select tweets that you can boomerang back for followup later on. Twitter Bookmarks is an easy way to create bookmarks to your favorite things on Twitter.